Summer is quickly coming to the end and the seasonal fashions are going out with it. The spin on that is that you get to wear all your cute corduroy pants, jeans, and sweaters because it’s feeling like Fall more every day. With that on our minds, we’re thinking ahead to when Zara will have their Fall/Winter sale in 2017. As you may know, the Spanish retailer holds two End of Season sales every year. The good news is that he two sales arrive around the same time meaning we can estimate when it starts — give or take a week. When are the dates of Zara’s Fall Sale? Was it your first Zara summer sale in 2017? If so, you got a nice taste of promotionally-discounted styles. Now you’re ready to add some sweatshirts and jeans to your closet as you move the tank tops into a less-accessible closet, So when is the Fall sale? 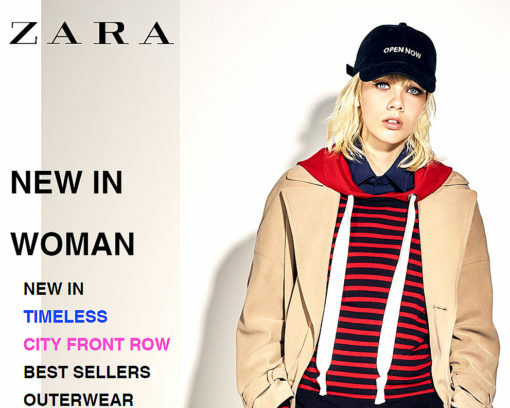 If the previous 5-6 sales are any indication, then we have a few months remaining (as of this post) until we can enjoy the multiple-markdowns that come with Zara’s 2017 bi-annual sales. So when should you expect to check in for the sale? Unfortunately if you were thinking it was coming up, you’ve got some waiting to do still. If 2016 was a hint, then we’re looking at the end of December for Zara’s full-on Fall/Winter sale. Here’s the last several Zara Fall/Winter sale dates. As you can see, we estimate this year’s sale to be on December 26th. That’s because the last several Zara Fall sales going back to 2016, 2015 and 2014 have fallen a day or two after Christmas. We have no reason to believe that will change this year. If you can’t stand to wait another quarter year for your Zara sale-fix, we have some good news. In the past, Zara does hold smaller promotions. Your consolation promotion at this point of the year is Zara’s Black Friday sale which the retailer usually discounts their clothing anywhere from 30-50% off. That sale normally lasts a day or two, so mark it into your calendar so you’re prepared. Their Black Friday sale isn’t the 5-6 week extravaganza of markdowns, but it’s something to keep you busy until December 26 (or 27th). It’s also nice to stake out the potential pieces you hope get marked down a lot more a month later. When does Zara’s 2017 summer sale begin? Zara Sales: Zara unleashes bi-annual, month long sale When does ZARA’s Fall sale start?